Thank you for purchasing your Irresistible Change Guide workbook. * I hope you’ve had a chance to go through the book and discover all the exercises and tips that will help you design and influence change at work without getting stuck. And, because it’s a workbook, you can feel free to write on all the template pages included within the pages. But, of course, that means you can only use it once. That’s why I’ve made all the template pages — all 51 pages you would write on — available in a downloadable PDF file. You can print as many copies as you need and fill them out on demand. You can download all those templates listed to the right for just $97. That way, you won’t have to purchase a new Irresistible Change Guide for each project you work on — unless you want to, of course! 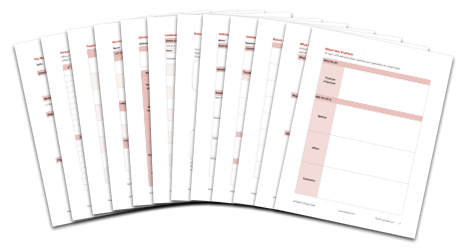 Since many of the exercises in the Irresistible Change Guide are designed to be completed with others in your organization, I also include an MS PowerPoint file with templates you can fill out and share with your team. These are great to use in workshops and team meetings to get people thinking and talking about the things they need to do to successfully implement change. You can complete your change toolkit by downloading all these right now! 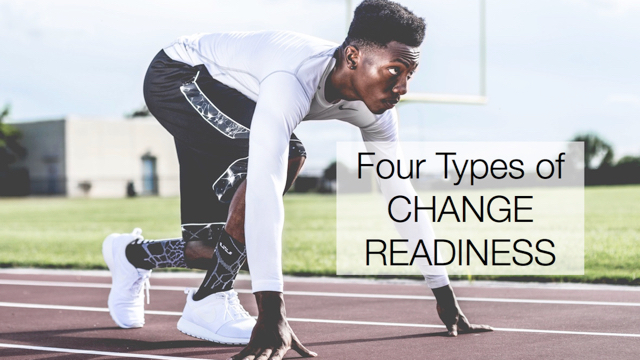 * Don’t have your Irresistible Change Guide yet? Get yours here.